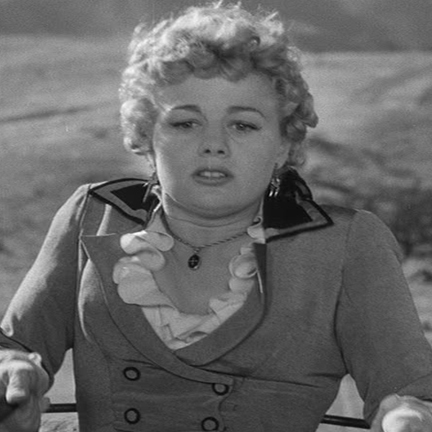 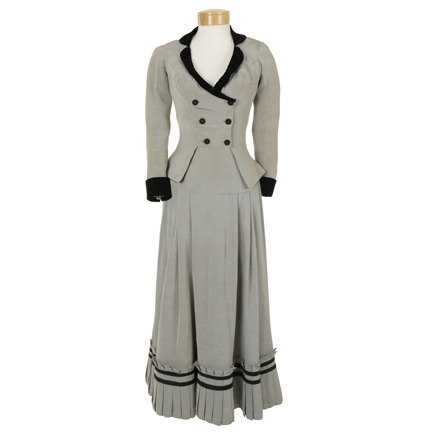 This western dress was made for and worn by Shelly Winters as “Lola Manners” in “Winchester ’73”. 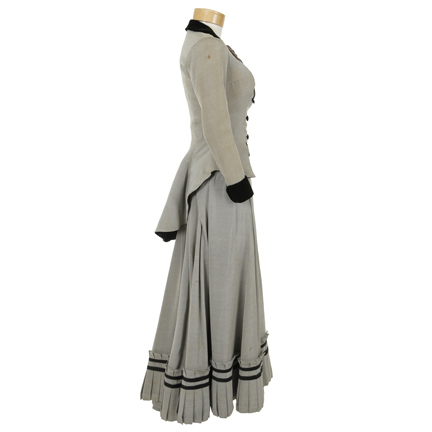 The dress was repurposed by costume designer Bill Thomas for Katherine Emery as “Camilla Dendow” in “Untamed Frontier”. 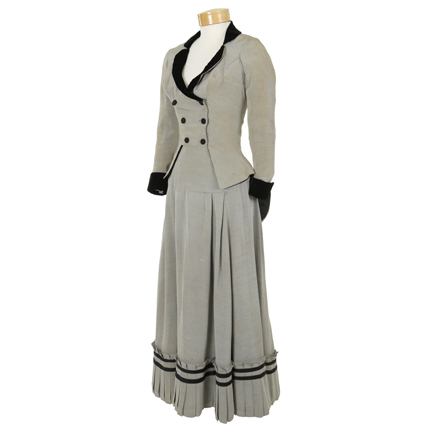 The two piece grey and black textured period dress has a scoop neckline, rounded lapel, double breasted jacket, trimmed with black velvet and lace, six black self covered buttons, lined in grey satin and black velvet. 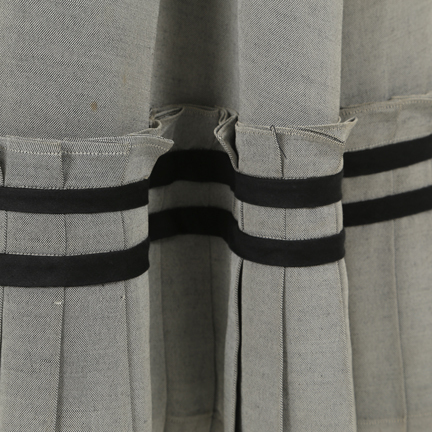 The floor length skirt has a box pleat hem accented with black stripes, black velvet waistband, and hook & eye back closure. 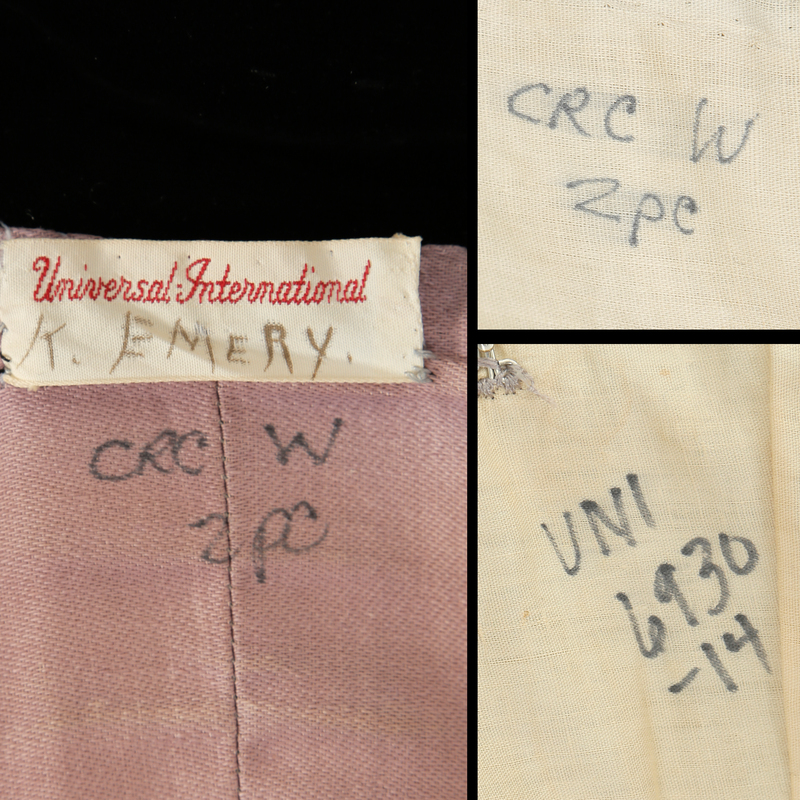 Universal International label handwritten, “K. 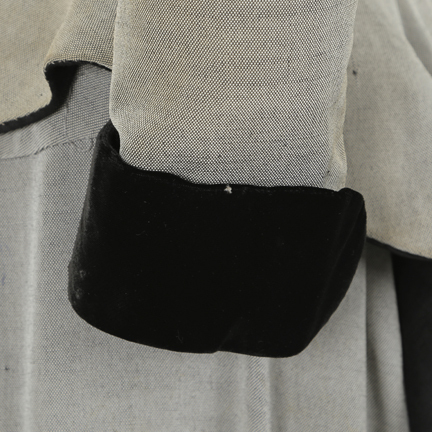 Emery”Handwritten in black “UNI 6930-14”. 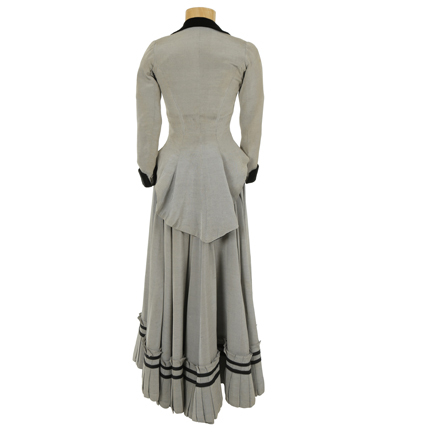 Both garment have been altered from the original design. 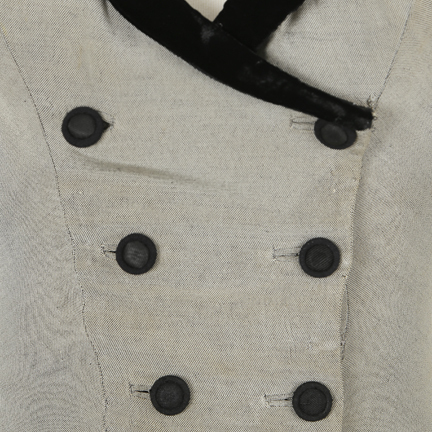 The original peak lapel and cuffs were cut down into a softer rounded shape, the buttons have been replaced, and the apron removed. 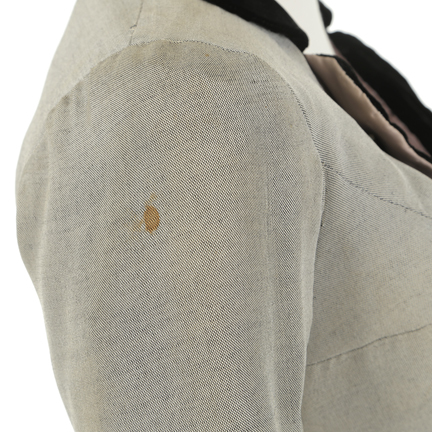 Both pieces exhibit wear with a few faint stains and small moth holes. 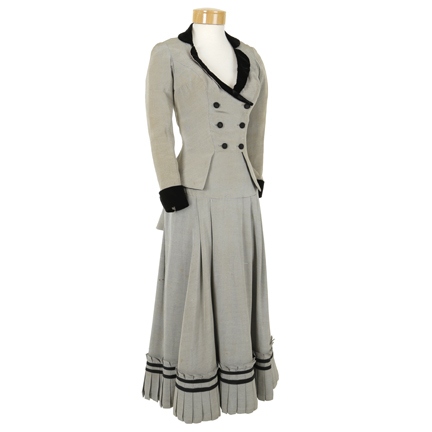 The dress is in excellent screen worn condition and is accompanied by a letter of authenticity from the costume house.